Little Lessons: What are they reading? Reading is so important yet it can be hard to know where to start, when to start and which books to move on the next. Here's an update on how the reading is going at our house. 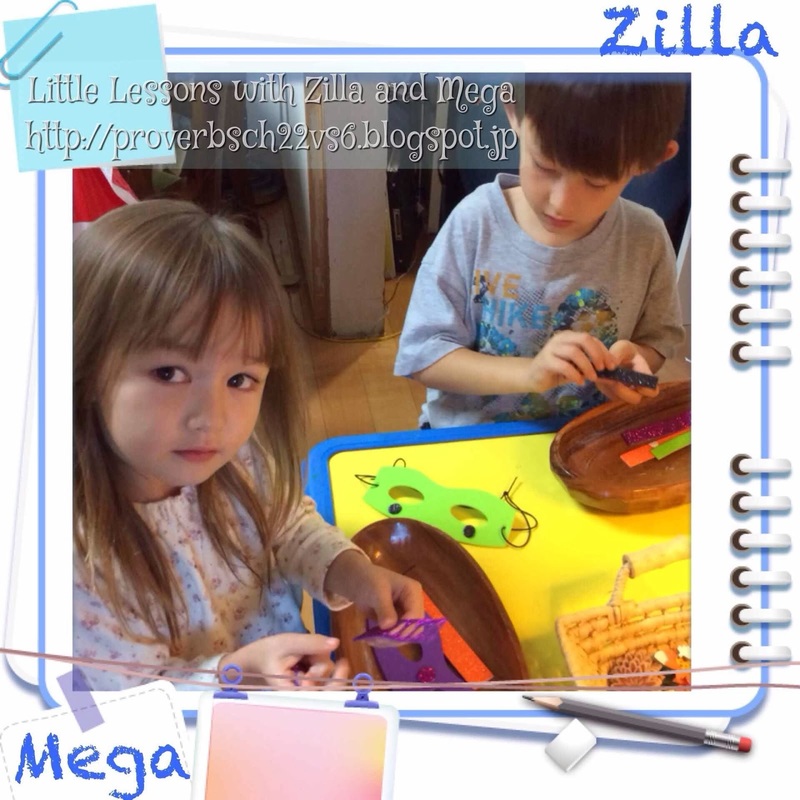 Mega is confident in reading hiragana (one of the Japanese phonetic alphabets) so she reads books and magazines at school as well as the few Japanese books that we have at home. 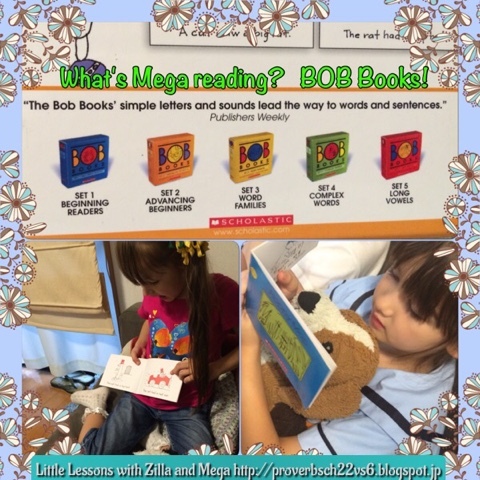 Recently she's been growing in confidence with her English books as she works her way through the BOB Book series and the Early Reader books that we have. She is enjoying reading to the stuffed animals and preparing to read to her younger cousins when she sees them this summer. 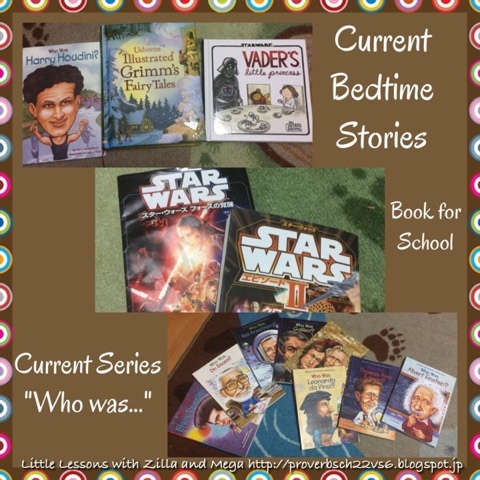 At bedtime Zilla and Mega each get to choose a book or a chapter to listen to. 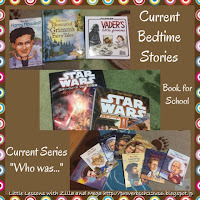 Mega enjoys the Star Wars parody style picture books or a fairly tale. Reading the "real" fairy tales has been eye-opening for her as she is familiar with the Disney versions and some of the Japanese versions.